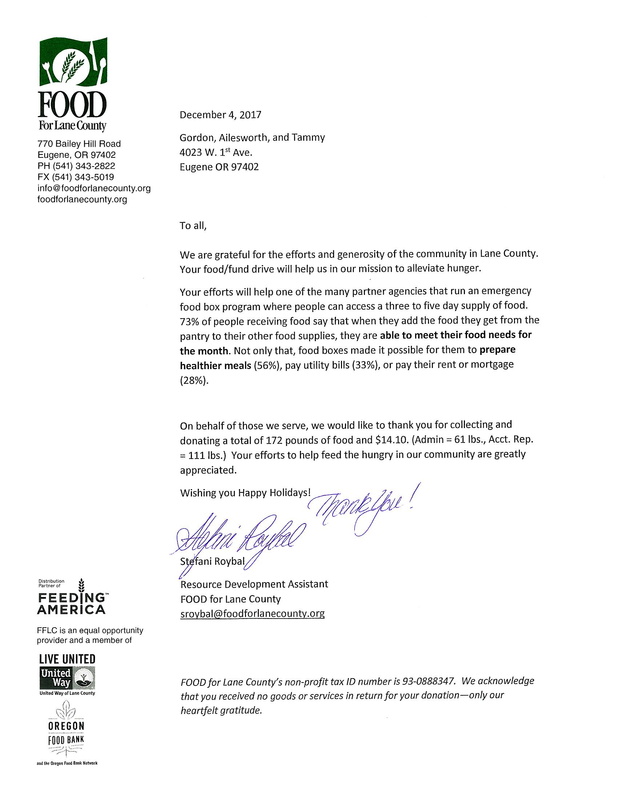 FOOD for Lane County - Gordon, Aylworth & Tami, P.C. 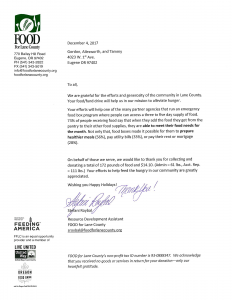 We love to participate in our local food drive during the holiday season. This year we received a lovely letter from the non-profit as thanks for our efforts!